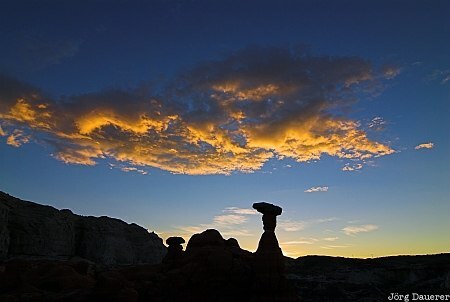 A colorful sunrise over the silhouettes of the hoodoos of the Rimrocks area (Toadstool Valley) in southern Utah, United States. This photo was taken in the morning of a sunny day in October of 2006. This photo was taken with a digital camera.